The Capel Military Vehicle Show is an annual display of military vehicles both vintage and contemporary, held in Surrey, England. Enthusiasts, collectors, and veterans enjoy a day of reenactments and demonstrations, as well as a variety of shows and trade stands. The organisers of the show approached Inspired Lamb Design to redesign their existing site. The site, as well as the active forum attached to it, was in need of some modernisation. It was not mobile friendly, and certain sections were not easily editable as there was no content management system. Also, the forum and site were built and hosted separately. 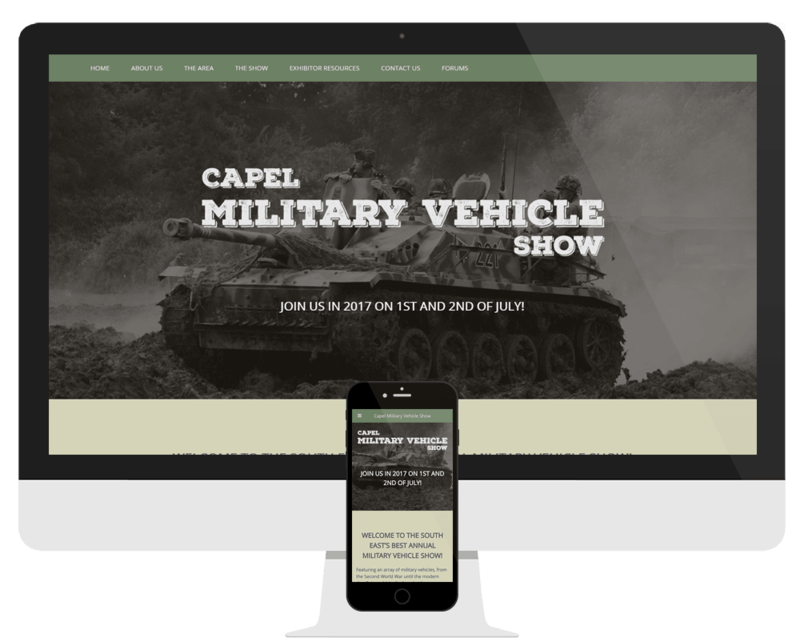 We brought both the site and forum under the WordPress CMS, allowing control of all elements from one admin area, and created a consistent look throughout, in keeping with the military theme. Existing content from the site and forum was brought over, and a new, text-based, logo was created.